With the release of Tribute, Heine followed a path similar to that of Dalliance by using a single printed source (a photo copy of a reprint of a type specimen printed around 1565) as its model. 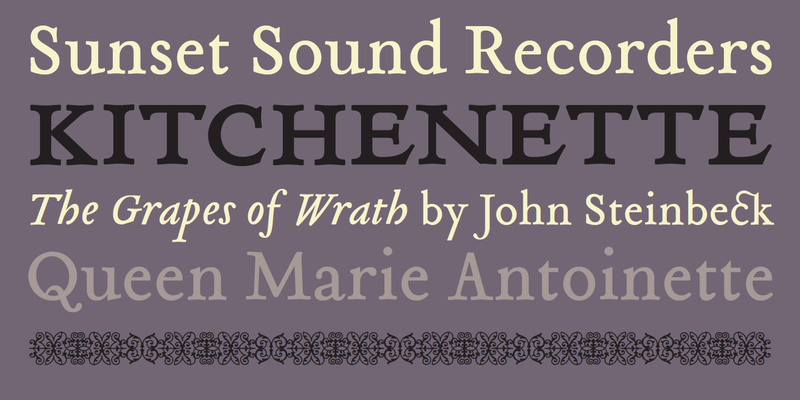 The specimen in question was set in typefaces cut in 1544 and 1557 by the French punchcutter Francois Guyot. Not nearly as influential as his elders, such as Garamond or Griffo, Guyot's unusual treatment of certain characters and overall idiosyncratic approach appealed to Heine�? ?s aesthetic sensibilities. 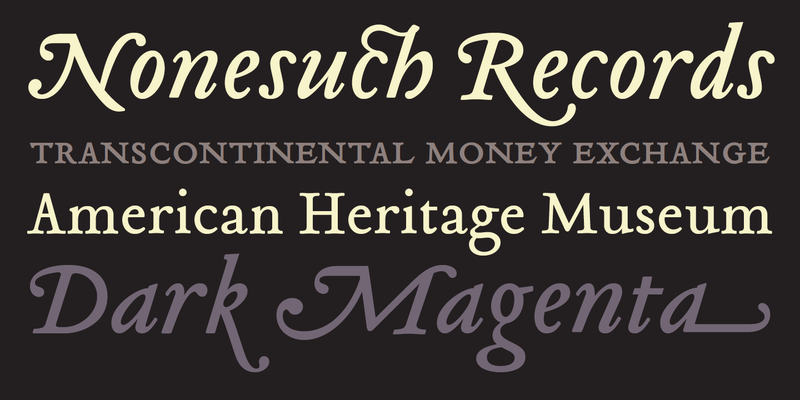 Also, to design a font based on a Renaissance Antiqua had been a long held desire for Heine, who said �? 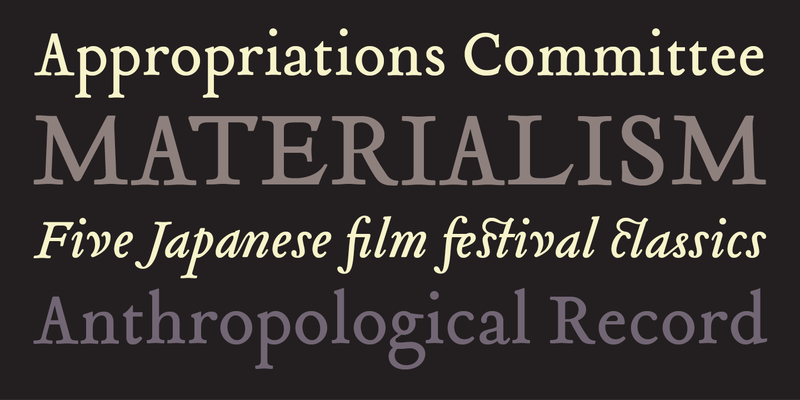 ?I am particularly attracted to its archaic feel, especially with settings in smaller design sizes. It is rougher with less filigree than the types of the following centuries thus exhibiting much cruder craftsmanship of the early printing processes.�?� By using a third generation copy as a model, which did not reveal much detail, allowed Heine enough room for individual decisions resulting in a decidedly contemporary interpretation while maintaining a link to the past. 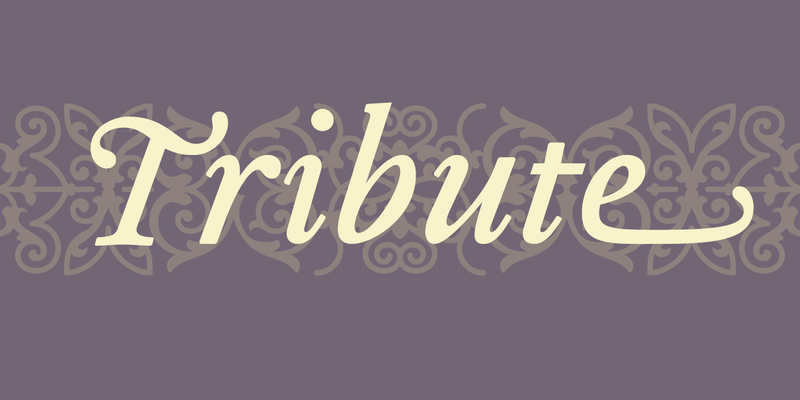 For more information about Tribute, download the free type specimen.